Race Innovation – Coming Soon! From the time the athlete arrives at check-in and receives their material until they finish their journey to the finish line, our products help to create an easy and unforgettable experience! 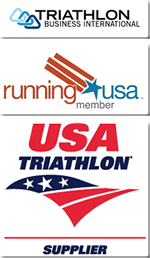 Since 2006, Race Innovation has been customizing race products for the growing running and multi-sport communities. We are dedicated to working closely with organizations to understand their unique race and branding needs to develop systems that build loyalty. This is the foundation for our motto: Building Brands from Start to Finish.